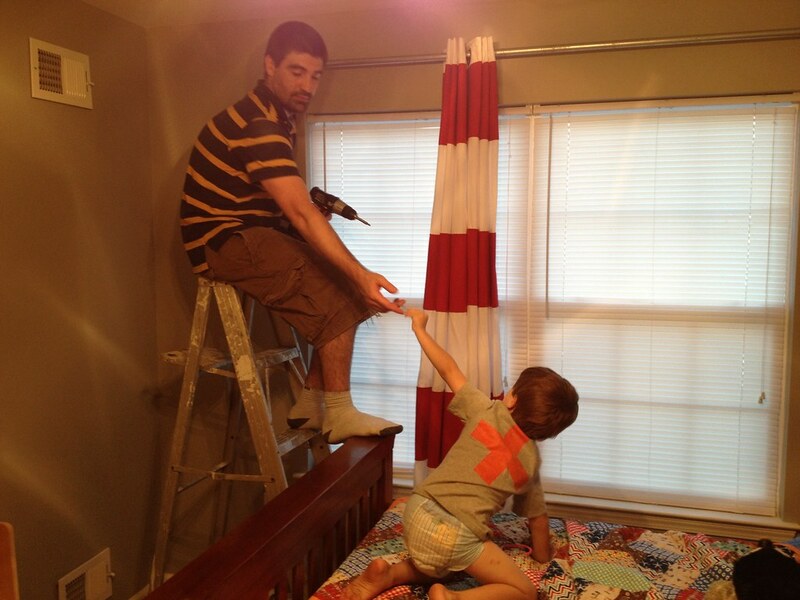 Nathan's nursery is slowly turning into a big boy bedroom. The first changes occurred long ago when his crib turned into a toddler bed and then his toddler bed turned into a full sized bed with a new quilt. There is a photo of his finished quilt in this post. More recently, like in the past couple weeks, we made a major change and covered the baby boy blue wall's in grey paint (Benjamin Moore Ozark Shadow). Then I realized the bright green curtains didn't go with the quilt and paint combo so I looked through my Pinterest boards and fell in love with the thick horizontal rugby striped curtains. I really loved the navy and red rugby striped Pottery Barn curtains but there was no way I was going to pay close to $200 for two panels. 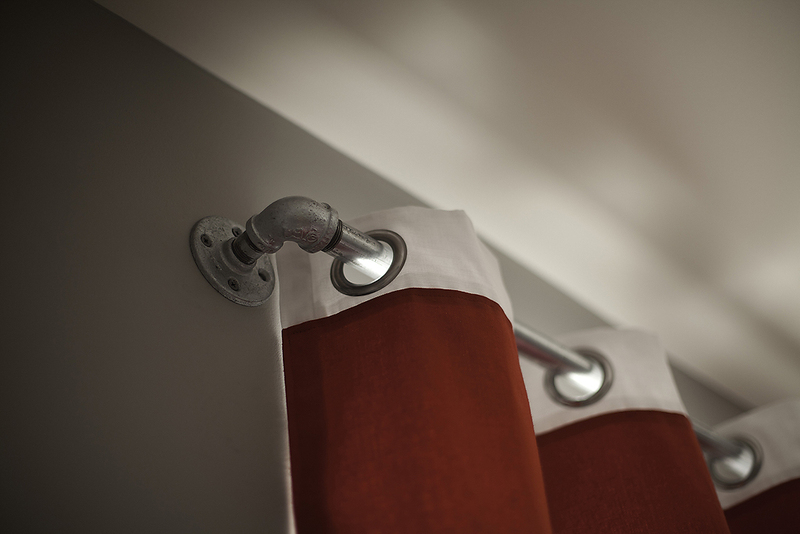 I also loved the look of the grommets but I didn't want to buy cheap plastic grommets or a grommet tool otherwise I would have constructed the curtains from the ground up. 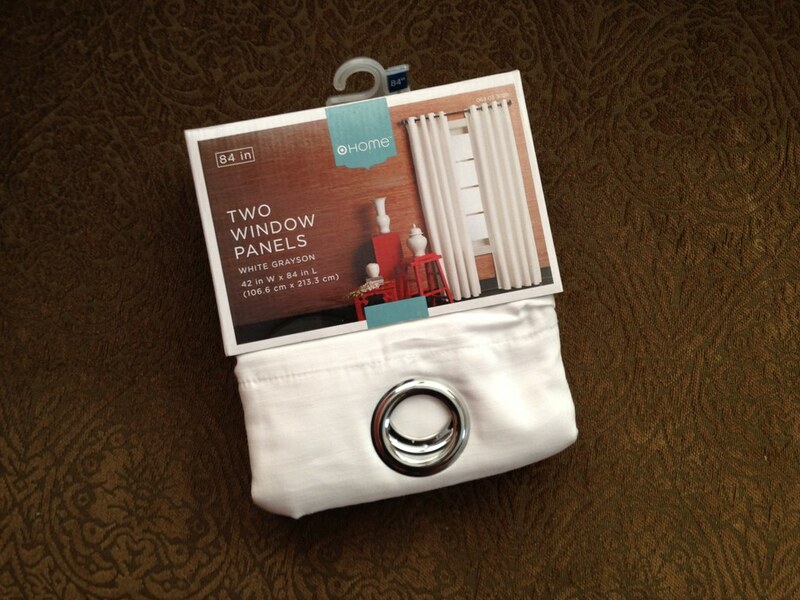 Target Home Grayson Grommet Window Panel Pair for $34.99 (Steal) - I wanted navy, but Nathan's favorite colors are red and white and he is not afraid to voice that opinion. He is one 4 year old who knows what he likes and wants. In fact, while we were in Target he told me how red and white "are perfect". So being that I wanted him to trust my overall vision in painting his room grey instead of all red, I caved and bought the white panels. 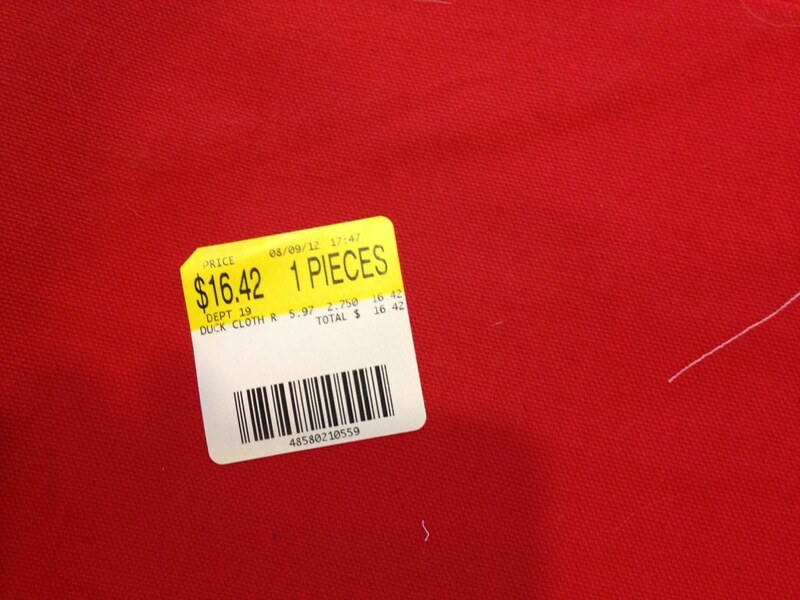 2.75 yards red canvas material from Walmart for $16.42. 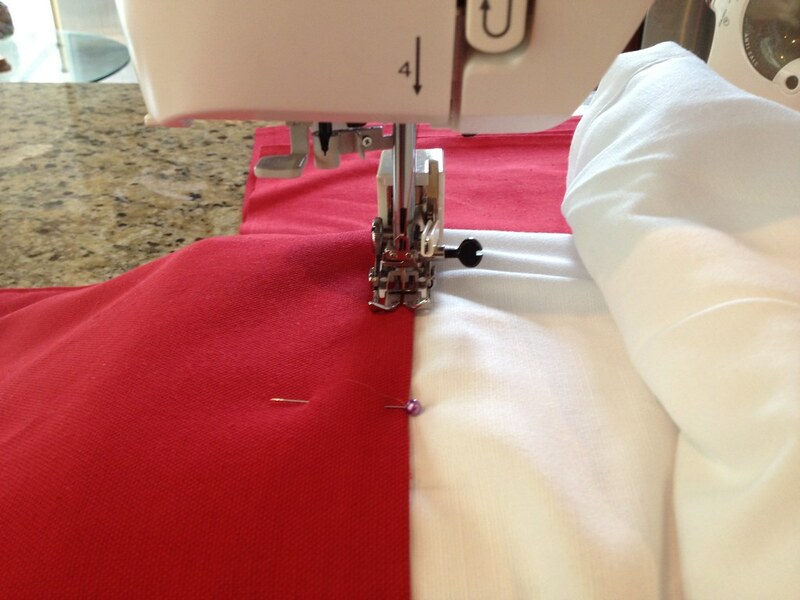 I first squared off the red fabric and cut my 8 red strips. 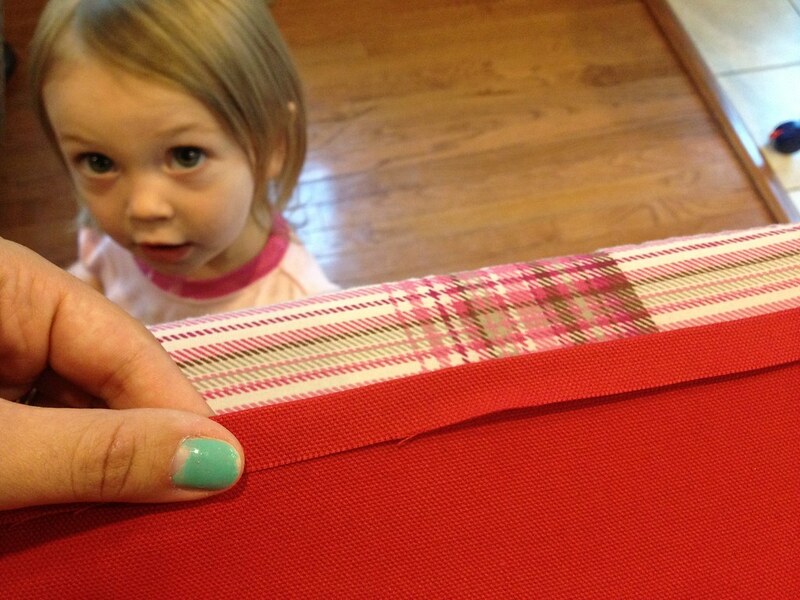 I then folded and ironed under 1/4 inch of fabric on each of the long edges. I am going to do this on the short edges as well but only after I measure it against the width of the white Target panels. 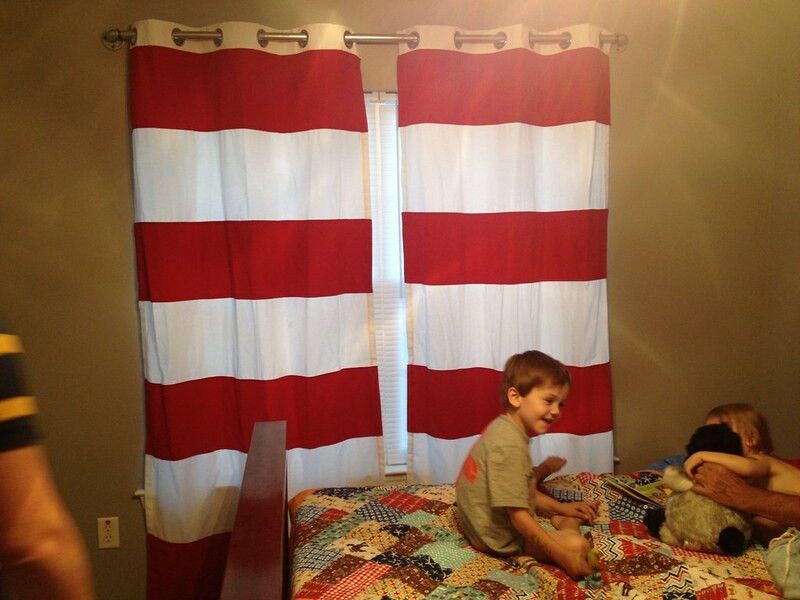 Pin red stripes to the white curtain panels. And sew closely to the edge from one edge of the panel to the other and up each side. You essentially sew a giant rectangle, outlining the red stripe. I had my walking foot attached to my sewing machine because I was quilting something recently. 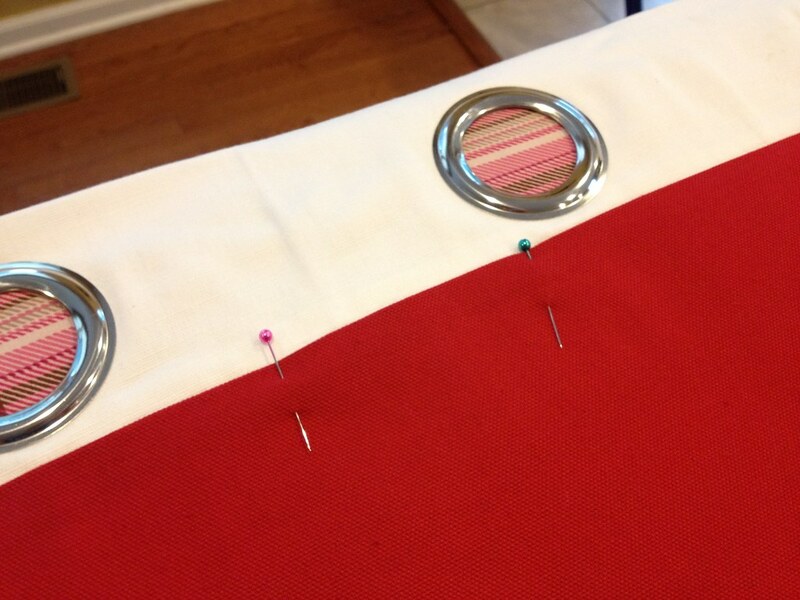 It worked very well for the curtains because it fed both red and white layers of fabric evenly, without any bunching. I rolled up any excess fabric so it would be easy to feed through the machine. What worked for me was to sew the top and bottom stripe on first and then measure the distance between those two stripes and divide by remaining stripes. Bear with my, I am thinking out loud. So I already sewed two stripes on...so I now divide the distance between these two stripes by 5 (2 remaining red, and the 3 white stripes). I'm basically doing this to double check my original math. 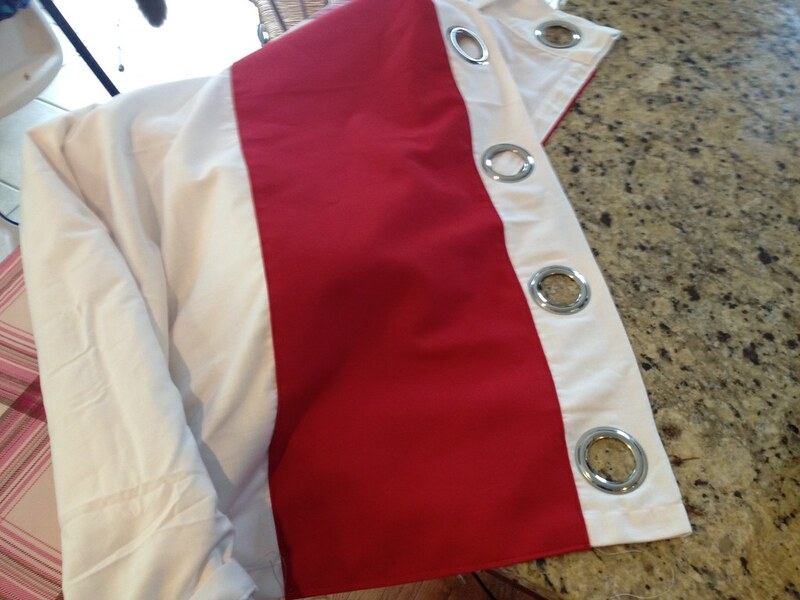 Since the strips of red I cut were not an even number, plus I'm not sure exactly how much fabric I ironed under, I just wanted to make sure there was a consistent distance between the stripes even if it meant the white stripes were a smidgen thicker than the red. Get what I am saying? Hopefully? So the end results - the red and white rugby stripes are a little too "Where's Waldo?" or "Dr Seuss" for my taste but they are perfect for a soon to be 4 year old boy. Total cost of galvanized curtain rods for one double window =$44.66. 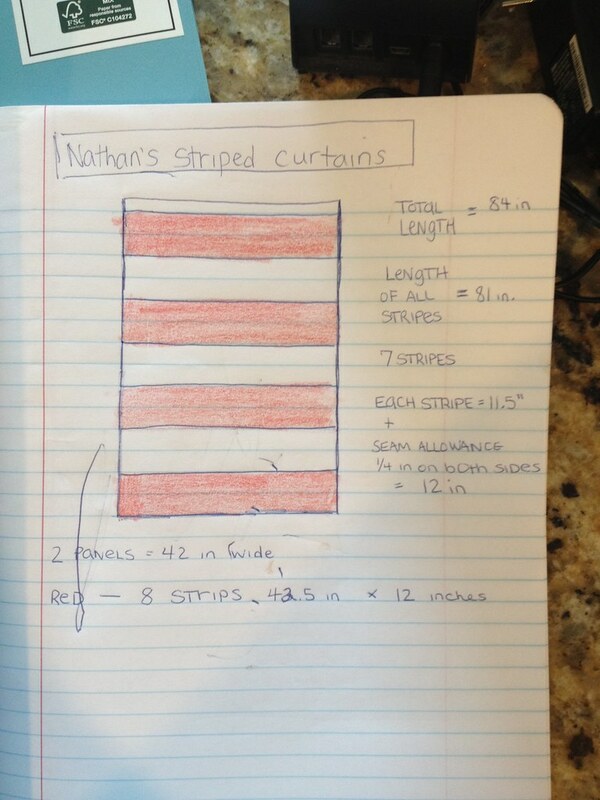 This is pretty expensive in my opinion but we are going to sell Nathan's green blackout curtains and his curtain rod so we should be able to recover most of that expense. and the galvanized curtain rods totally rock and fit perfectly into my vision.